Casino stocks of Macau and Philippine operators posted the strongest gains for the sector in Asia during 2017. The majority of the other casino firms in the region also recorded stock price increases for the period, show data compiled by GGRAsia based on publicly-available information from investment research firm Morningstar Inc.
Wynn Macau Ltd had the best stock performance among Asia’s main casino operators. The firm’s shares – listed on the Hong Kong Stock Exchange – ended calendar year 2017 valued at HKD24.75 (US$3.17) apiece. That was an increase of 101 percent compared to their closing price at the end of 2016 – HKD12.34 a unit. The prices of shares in the other Macau five casino operators increased between 15 percent (SJM Holdings Ltd) and almost 86 percent (Galaxy Entertainment Group Ltd) during the past year. The scenario for casino operators in the Philippines was also positive in 2017. Stock price results ranged from a 97-percent increase for Melco Resorts and Entertainment (Philippines) Corp, which operates the City of Dreams Manila property, to a gain of 21 percent in the case of Travellers International Hotel Group Inc – operator of the Resorts World Manila casino hotel. Bloomberry Resorts Corp – the developer of Solaire Resort and Casino – posted an annual increase in share price of 77 percent for the period. In Singapore, Genting Singapore Plc – the developer of casino Resorts World Sentosa and listed in the city-state’s stock exchange – saw its stock price up 44 percent in 2017. Sister firm Genting Malaysia Bhd also recorded an annual share price increase for last year. Its stocks – listed on Bursa Malaysia – were worth MYR5.68 (US$1.39) at the end of 2017, up by 23 percent in annual terms. Besides running Resorts World Genting, Malaysia’s only casino resort, the firm operates casinos in the United States, the Bahamas and the United Kingdom. NagaCorp Ltd, the firm behind Cambodia’s largest casino – NagaWorld in capital Phnom Penh – posted an annual increase of 35 percent in share price for 2017. Its stock, listed in the Hong Kong Stock Exchange, closed the year trading at HKD6.05 per unit. Two listed Korean operators of foreigners-only casinos each showed annual price gains. Grand Korea Leisure Co Ltd ended 2017 with its stocks up 43 percent year-on-year; the stock of its market rival Paradise Co Ltd ended the year with a price of KRW22,300 (US$21.0) apiece, representing an increase of 84 percent in annual terms. Kangwon Land Corp – the operator of the only casino resort in South Korea where the country’s nationals are allowed to gamble – ended calendar year 2017 with its shares valued at KRW34,800.00 apiece. That was a decline of 3 percent compared to their closing price at the end of 2016 – KRW35,750.00 a unit. JP Morgan Securities (Asia Pacific) Ltd stated in a December note that Kangwon Land was likely to see annual growth in its casino gross gaming revenue (GGR) further constrained, as the South Korean government seeked to limit revenue expansion for all forms of locals-focused gambling. Hong Kong-listed Summit Ascent Holdings Ltd, the lead developer of the Tigre de Cristal casino resort in the Russian Far East, also saw its stock price decline in 2017, by 54 percent in year-on-year terms. 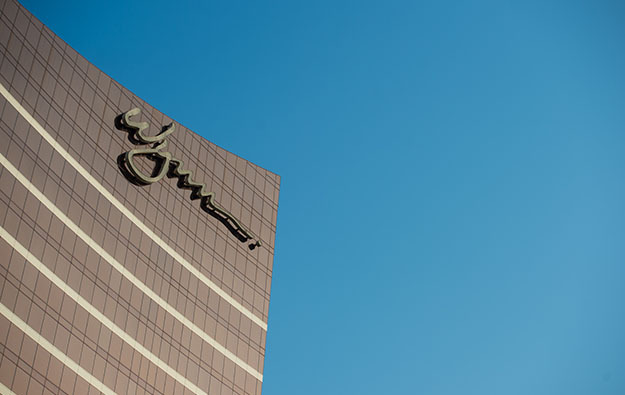 Last month, Asian casino investor Lawrence Ho Yau Lung announced he was selling off his 17.4-percent stake in the firm.